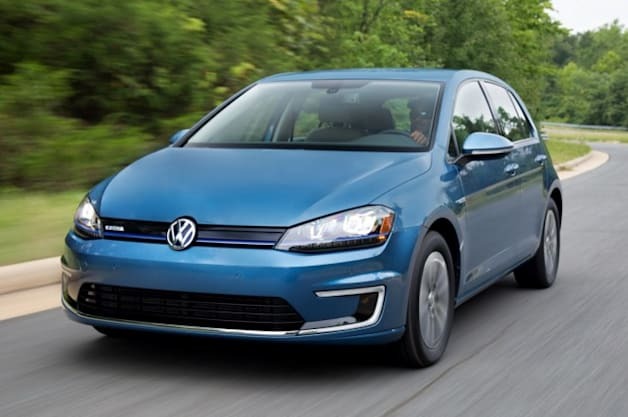 Herndon, VA - Volkswagen of America, Inc., today, announced pricing for its 2015 e-Golf, the brand's first fully electric, zero tailpipe emissions vehicle for the U.S. market. Joining Volkswagen's extensive Golf family of versatile, sporty hatchbacks, the e-Golf starts at $35,445 (plus $820 destination and delivery) for the SEL Premium model. Built on the Golf's sporty Modular Transverse Matrix (MQB) platform, and powered by a compact electric motor and lithium-ion battery (built in-house at Volkswagen's Braunschweig facility), the e-Golf follows the Golf's "fun-to-drive, yet practical" formula, with all of the benefits of an electric vehicle. Additionally, Volkswagen is further improving the ownership experience with a groundbreaking and holistic approach to e-Mobility. Volkswagen has announced a collaboration with 3Degrees®, a renewable energy services provider, to invest in carbon reduction projects to help offset the emissions created from production, distribution and charging of the e-Golf for up to approximately 36,000 miles of driving. Charging solutions from Bosch® and Chargepoint®, along with a new Roadside Assistance program and the VW Car-Net® e-Golf app are designed to make owning the e-Golf a thoroughly reassuring, rewarding and enjoyable experience.